Indiana Gov. 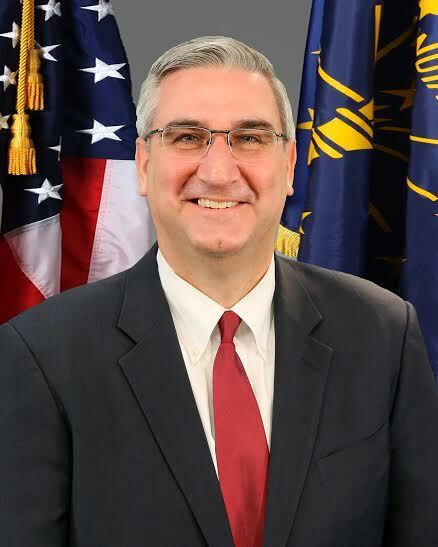 Eric Holcomb (R) signed controversial State Bill 309 into law, which will end new net-metering for solar powered homes and businesses after 2022. The move was criticized by solar industry advocates, community leaders and other Republicans as well who contended that the public did not want the law and warned that it will hamper jobs growth in Indiana as well as out-of-state investment—particularly in the clean energy industry while it reduces choices for Indiana residents. “Hundreds of residents and businesses came out to hearings and rallies opposing this toxic bill, yet Gov. Holcomb chose to side with the big energy companies who want to tie up Indiana’s rooftop solar market. Senate Bill 309 has already drawn negative publicity to our state, and it will continue to do so as solar companies gradually close up shop and move elsewhere. Indiana will soon regret this law, as have the states of Nevada and Arizona when they passed similar laws,” said Richard Hill, chair of the Hoosier Chapter of the Sierra Club. Under the new law, rooftop solar customers who install arrays before Dec. 31, 2017, will be grandfathered into existing rates for the next 30 years. That’s expected to effect less than 1,000 new solar customers statewide. Customers who install solar between Jan. 1, 2018, and July 1, 2022, will be grandfathered into net-metering rates until 2032. Any residential or commercial solar installed after July 2022 will be ineligible for net-metering altogether. The bill also implements a limit on net-metering in the next 5 years. When a utility’s total solar and wind generation exceeds 1.5 percent of its total energy output it can no longer net-meter new customers. “SB 309 is counterproductive in our quest to retain and attract solar energy jobs, which are growing 12 times faster than the US private sector, in that it imposes five needless roadblocks to investment.” said Jesse Kharbanda, executive director of the Hoosier Environmental Council. Indiana currently employs 2,700 solar workers at 26 manufacturing companies and 34 installation and developing firms, according to the Solar Energy Industries Association. “SB 309 sends the wrong signal to talented Hoosiers and prospective Hoosiers alike–that, when it comes to clean energy, Indiana is not a welcoming state for entrepreneurship and innovation,” added Kharbanda. Attacks against net-metering are continuing in other states as well. For instance, in June 2016 Arizona Public Service filed a proposal with state regulators to raise all rooftop customers’ rates by 7.96 percent and impose demand charges on all new rooftop solar customers. Nevada regulators previously ended net-metering entirely but reconsidered its decision in December 2015 by grandfathering existing solar customers into their initial power purchase agreements in September 2016. Meanwhile, the Florida Senate last week passed SB 90, a bill to implement the pro-solar ballot initiative Amendment 4 approved by voters on the state’s August 2016 primary ballot, according to the Southern Alliance for Clean Energy (SACE). The bill extends existing property tax exemptions for renewable energy devices from residential property to all property. Gov. Rick Scott now has the bill, and he can veto it, sign it or leave it unsigned for automatic passage. SACE said that, thanks to the bill’s supporters, Florida residents will enjoy lower energy costs as taxes on solar energy systems are reduced beginning Jan. 1, 2018. The bill also includes requirements for disclosures in the sale or lease of distributed energy generation (DEG) systems. Among other things, the provisions include disclosure of tax incentives or rebates used by the seller in determining the price of the DEG system and a description of the assumptions used to calculate any future electric utility rate savings estimates provided to the buyer/lessee.